This handmade silver ring is new to my collection, but it’s already a firm favourite. I got it from a stall at a steam rally (odd I know, but a favourite family past time!) and had to try on every ring on the stall to find one to fit. I was just about to give up when I found this beauty. I love how chunky it is and that the stone looks smokey. My watch from Olivia Burton was a Christmas present, and I wear it nearly every day. 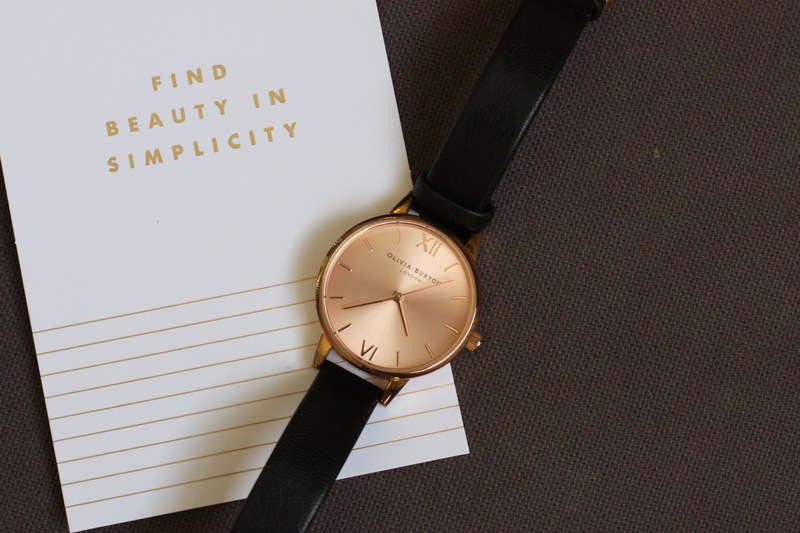 I love the simple contrast of the rose gold face with the black leather strap – it goes with everything and never looks too fancy or too casual. Olivia Burton’s midi size face is perfect for my tiny wrists. I really want to add another one of their watches to my collection! I’m not a big earrings person, and I much prefer dainty designs. 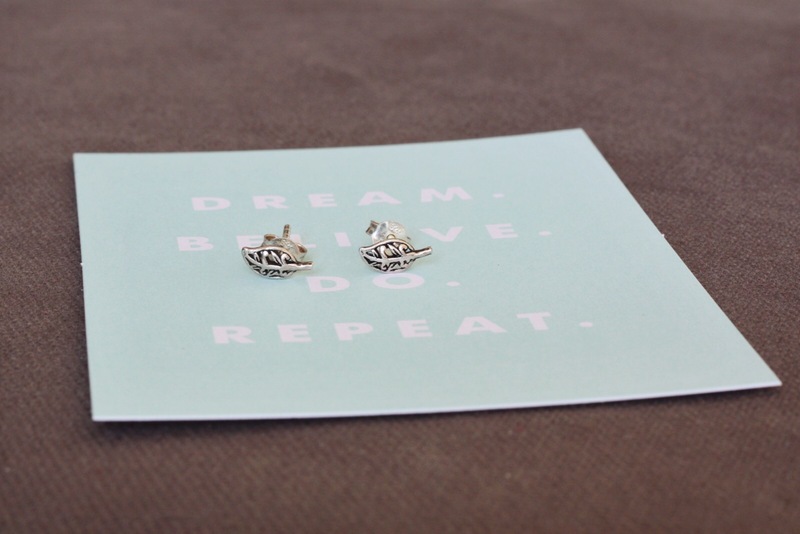 These cute leaves are from the sterling silver range at Accessorize and were really inexpensive. They just finish off a look perfectly. Now I just have to decide whether I’m feeling elegant or fun! Oh I love Olivia Burton watches – they all look so elegant. And the ring is gorgeous 🙂 I’ve got tiny wrists and fingers but that’s where I seem to wear the most jewellery – I load ’em up!